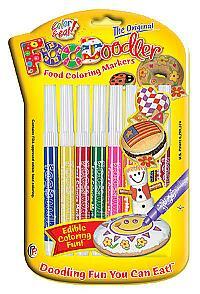 Edible Ink Writing Pens are perfect for Stenciling, Stamping, Outlining designs, or Freehand drawing. 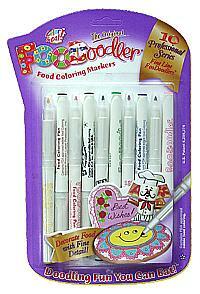 Our edible ink pens/markers can be used again and again just like regular markers. May I thanks you so much for the excellent service.I was so surprised to receive the cake topping in 48hours and the quality was excellent.You made my day.We had a ball !!!!!!!!. I be back very soon with another order.Have passed your details to my friends.